You are here: Home / Lifestyle / Life Hacks / Easily Make Thanksgiving Healthier and Just as Delicious! I know that a lot of people are trying to be healthy and eat right but when the holidays roll around, the self control can easily go out the window. 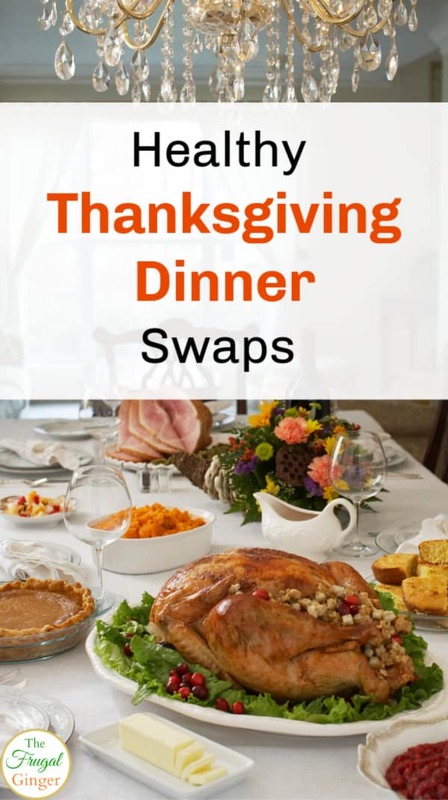 I have come up with a few alternatives and swaps that can easily make Thanksgiving healthier for you this year without sacrificing taste. 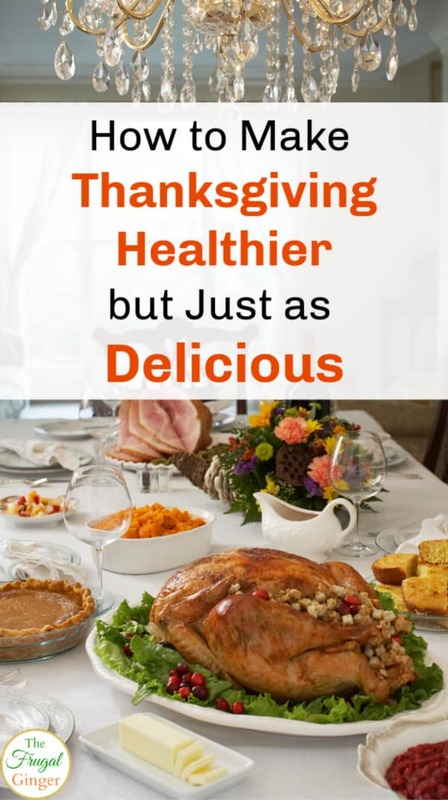 There are so many healthier recipes for your favorite Thanksgiving sides and desserts on the web so don’t be afraid to do a search and read the reviews to see what people thought about them. Check out these Hidden Veggie recipes for some inspiration. Here are my favorite ways to make Thanksgiving healthier but just as delicious. Greek Yogurt: Instead of using sour cream in your mashed potatoes or green bean casserole, use Greek yogurt to lower the saturated fat. Yogurt is also higher in protein so it will make it more filling. Walnuts: Instead of using fatty croutons on your salad, top it with walnuts that are full of fiber and omega-3’s. Cauliflower: To lower the calorie count of your mashed potatoes, substitute half with mashed cauliflower. I bet no one will even notice the difference. Fresh Cranberries: Canned cranberry sauce is FULL of sugar. Use fresh cranberries and make your own sauce with much less sugar. You can even mix the cranberries with naturally sweet dried apricots for a fun new condiment. Healthier Stuffing: This is by far the most calorie laden Thanksgiving side dish. To make it healthier use whole wheat bread instead of cornbread. Leave out any meat and substitute with celery, onions, or apples. Also, use chicken stock instead of fat and cook it in a casserole dish and not in the turkey to drastically cut down on the fat. Vegetable Oil: Use this when making your gravy rather than turkey drippings. It’s lower in fat and cholesterol. Olive Oil: Use olive oil to saute your veggies instead of fatty butter. Applesauce: Use applesauce in place of any oils in your desserts to cut down on the fat. Healthier Pies: Most of the calories in a pie come from the crust, so try a crust-free pumpkin pie this year. You can also substitute rolled oats for half of the pecans in your pecan pie to cut down on fat as well. If you still want a crust, use a reduced-fat graham cracker crust. Fat Free/Low Sodium: If you are going to be using any kind of store bought stock, broth, cream soups, cheese, etc. in your recipes, grab the fat-free and low-sodium options. They taste identical but can really help make a dish healthier than the regular version. If you are going to a family gathering or pot luck style Thanksgiving, it can be hard to make Thanksgiving healthier when you didn’t cook everything. Fill your plate with greens and vegetables with a smaller portion for meats and starchy sides. When choosing turkey, go for the white skinless meat instead of the darker meat to cut back on saturated fat. Drink water. Don’t drink your calories, save that for the food. If you want to enjoy a slice of pie, eat most of the filling but not as much of the crust. Also, don’t cover it in whip cream, a dollop will do just fine. Moderation is key. It’s Thanksgiving and only comes once a year so it’s fine to eat dishes you might not get year round. Just remember not to pile your plate high, a serving should satisfy your craving. These easy swaps can help you make Thanksgiving healthier without sacrificing your favorite foods. What are some Thanksgiving dinner alternatives that you use?